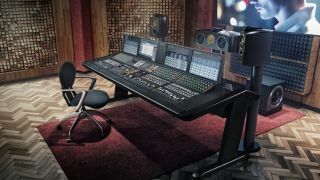 Blackmagic Design has acquired Fairlight, creators of professional digital audio products for live broadcast event production, film, and television post production, as well as immersive 3D audio mixing and finishing. Fairlight has a history of designing and manufacturing integrated audio control surfaces and software that are renowned for their speed, flexibility, and sonic quality. Fairlight Live products feature consoles that are designed for the most demanding on-air and live productions, giving customers leading-edge audio processing and control surfaces that range from 12 to 60 faders, along with audio I/O interfaces with full redundancy for work in broadcast facilities, outside broadcast trucks, performing arts venues, and houses of worship. For post-production solutions, Fairlight creates everything from compact desktop audio post systems to large-format mixing consoles with dedicated controls. Fairlight audio engines can deliver up to 1000 tracks, letting customers create complex productions without premixing, along with a massive 64 channels of monitoring. Fairlight’s editing software and fully featured audio post consoles give customers complete tactile control along with unique features like time compression and expansion that allows audio within a single clip to be precisely aligned to picture. Designed for the film and television post-production markets, Fairlight also creates immersive 3D audio workstations so customers can deliver 3D sound in formats such as 5.1, DTS MDA, Dolby Atmos, NHK’s 22.2, and more. Fairlight’s 3D audio workstations are large-format mixers with complete support for both 2K and 4K video playback.